Over 1.6 million page views per month! With over 290,000 registered members in over 300 different countries, eQSL.cc is one of the top 3 most popular amateur radio web sites. We offer a unique service not available anywhere else. Because of the unique nature of our service, our users don't come at random times to casually "surf". Instead, they come to perform specific transactions on a regular basis. And we perform an average of 5 to 15 operations per second, all day long! eQSL.cc members tend to be sophisticated amateur radio operators and short-wave listeners (SWLs) who are computer-literate and open to new ideas and technologies. 83% of them bought ham radio equipment in the last 12 months. Of those, 16% spent over $1000. 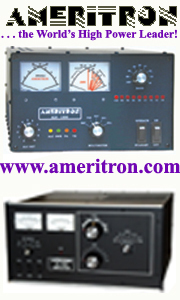 Many of our members are users of digital modes, satellites, and other advanced technologies that are difficult to target with conventional amateur radio advertising. One third of our users are not members of ARRL and are not reachable via QST. If you have a product or service that appeals only to specific countries, we can set your ad up to be displayed ONLY to users who are from that country or countries using COUNTRY targeting. 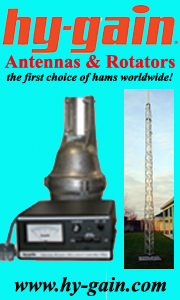 If you would like your ad to be seen only by hams who work CW or people who would buy a triband antenna, hams who work UHF, or if you have a VHF mobile transceiver to promote, you can request BAND and/or MODE targeting. Please contact us and let us discuss our "targeted advertising" options with you. Targeting gives you much better results for your advertising dollars. It is like aiming with a rifle, compared to the shotgun approach a magazine offers. Targeting is now a free feature with all our ads! We offer Per-Impression (also called "CPM") advertising. Per-Impression advertising allows you to purchase a certain number of page views (impressions) so you have complete control over your advertising budget. You only pay for the number of ads actually seen. If you prefer a fixed price for one or more months of advertising, we also have our ads priced on a per-month basis. Rates are updated from time to time without notice, reflecting changes in the number of registered users and hits on our site. You will find our rates to be extremely competitive, compared with other media! $200.00 per million $400.00 Fixed, Left column of most pages These are often referred to as "sponsorship" ads. They are always present on most pages and so will be viewed by everyone. When the user clicks on the graphic, it will take him to a URL of your choice. Only a limited number will be accepted as space permits, on a first-come-first-served basis. This is an example of the type of logo or ad that works well. $100.00 per million $200.00 Round Robin, Left column of most pages As each page is displayed, the next ad in sequence is selected from the pool of banners from various advertisers. When the user clicks on the graphic, it will take him to a URL of your choice. This is an example of a valid size. $100.00 per million $200.00 Round Robin, Top or Bottom of most pages As each page is displayed, the next ad in sequence is selected from the pool of banners from various advertisers. When the user clicks on the graphic, it will take him to a URL of your choice. This is the correct size. All ads must be prepaid. Minimum 100,000 impressions if priced as CPM or 1 month if priced per month. But we recommend 1 million page views as a starter. Targeting (see above) can be added at no additional cost to limit viewership. All advertisers receive a password that allows access to the Advertising Control Panel, showing real-time impressions and click-throughs for their ads. We can create an ad graphic for you at a fixed price of $100, or an animated GIF for $300, if you don't already have one. Animated GIFs or JPEG files may be used, but maximum total file size should be around 20K. Ad starts running as soon as payment has been received and the ad graphic and pricing have been approved. We think you will find our rates extremely reasonable!